A chill is in the air… it’s almost down to the 50s here in the sunshine state! What better way to celebrate “cold” weather with a hearty, healthy meal of delicious cold water fish? Wild salmon has a higher fat content which makes it deliciously moist and chock full of omega-3’s. You get the best benefits and most intense flavor from leaving the skin on, and when baked on a cedar plank, this swimmer really soars to new heights. 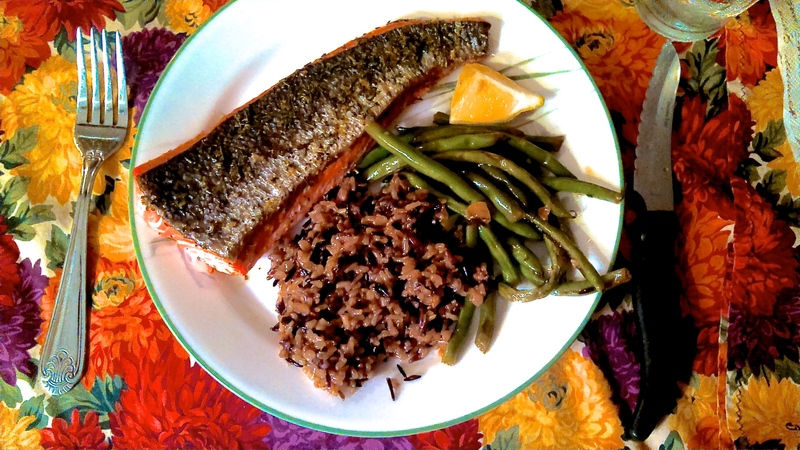 I served this with lemon-maple green beans and wild rice – the nutty/sweet flavors really complimented the glaze well, and kicked the health factor up a notch. Rosemary-Lemon Crusted Wild Salmon with Maple Glaze! I think it’s no secret at this point that I love ethnic food, ESPECIALLY if it’s spicy. Something about the belly-warming feeling of a hot meal with a good amount of spice really gets my mouth watering. 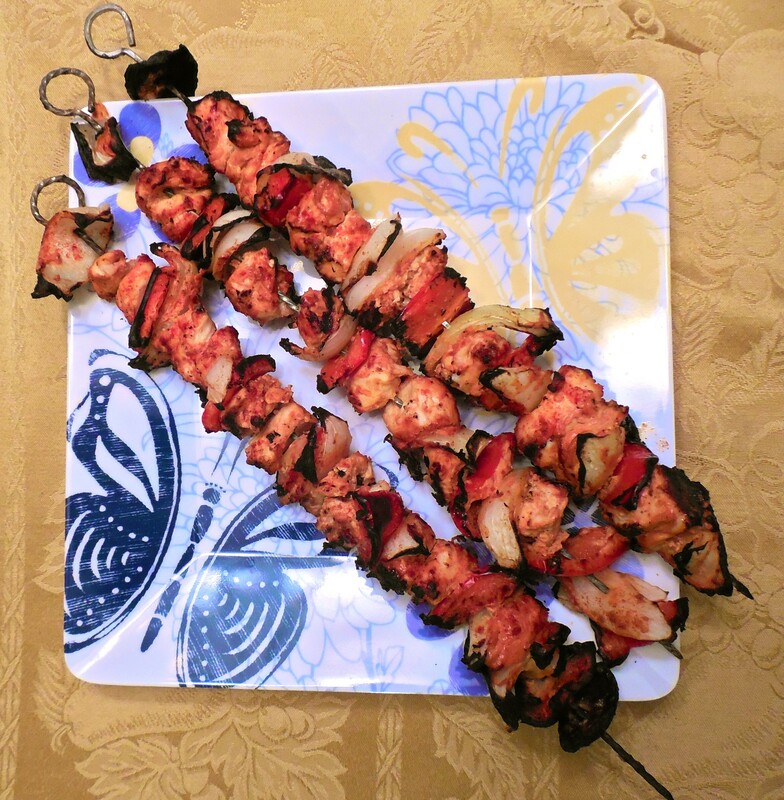 I also love grilling – screw that preconception that men are supposed to be the grillers! 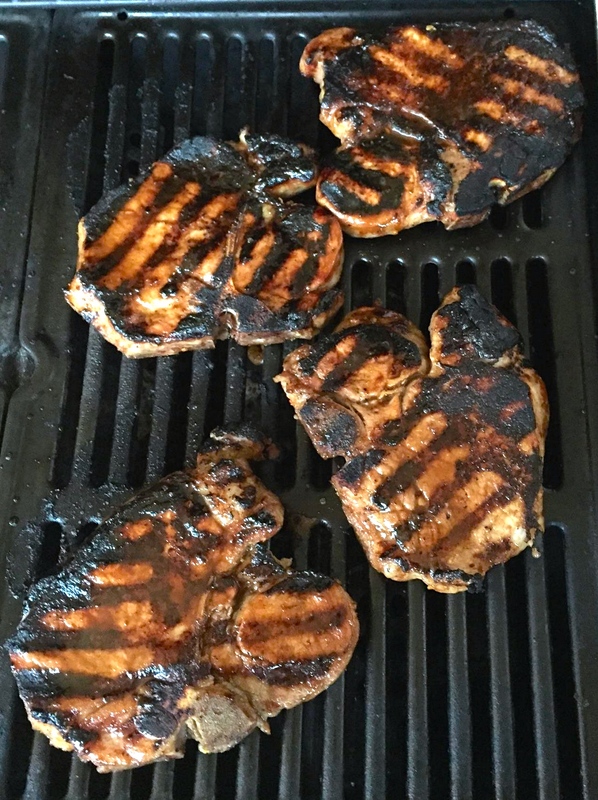 There really isn’t anything better than – or anything that can be a substitute for – the smoky, charred flavors a grill can provide. Since we’re going to be saying goodbye to summer in a month or so – or rather, many of you readers are, because Florida is perpetually in a state of summer – I decided to post this amazing little meal up while you still have some sunshine and warm days to enjoy it with. Plus, what’s more fun than eating food on a stick? If you’re a vegetarian, look away now! This post is not for you. Despite one half-hearted 3 year attempt at curbing my appetite for the furry (NEVER become a vegetarian for a boyfriend…), I just can’t resist a deliciously carnivorous meal. Lamb chops are hands down my favorite meat-and-potatoes affair. I love the gamey flavor, the simplicity of preparation and the satisfaction of nibbling on those little bones – mmm, disturbing and delicious. While they are a pretty simple thing to whip up, I realize many people don’t know how to properly cook the little buggers. While there really isn’t a WRONG way to prepare them, simpler is generally better. If you want to dress your lamb up in a little more than just salt and pepper, this recipe is for you. 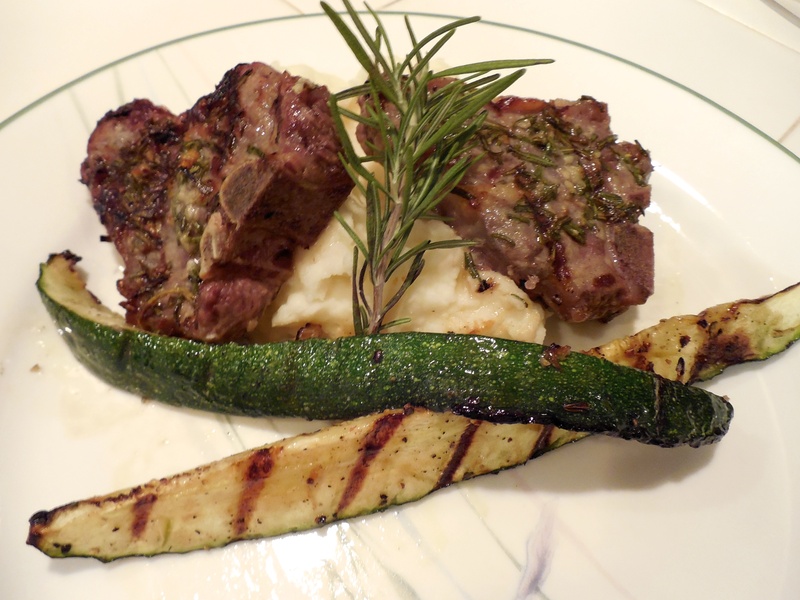 Garlic and Rosemary Crusted Lamb Chops!